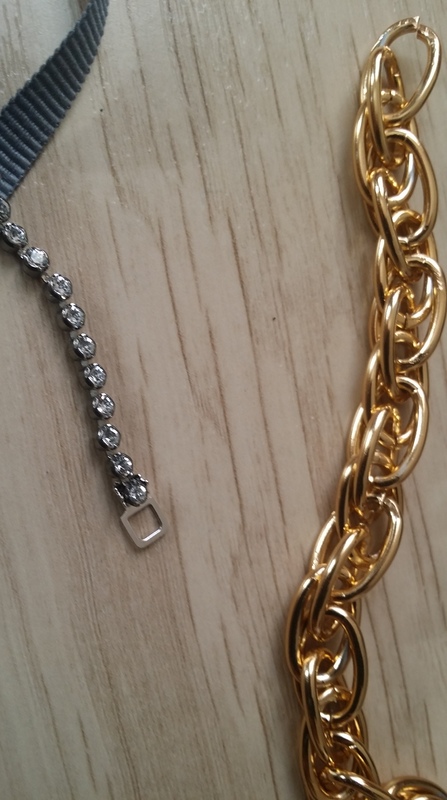 Place the end of the rhinestone chain in the bracket then tighten it. 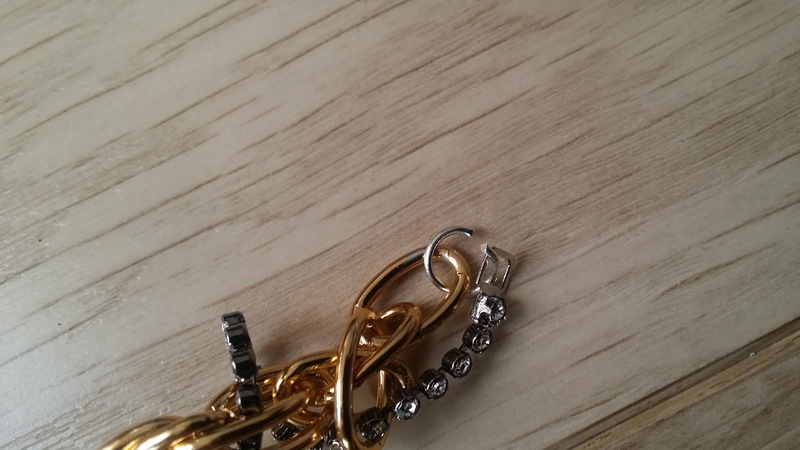 Repeat with the other side. 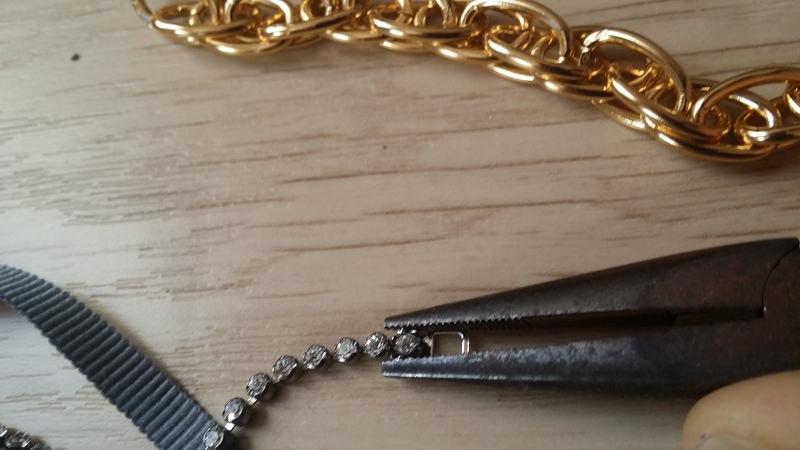 Use the pliers to open the jump ring then slot 1 end of the chain and the rhinestone bracket through. 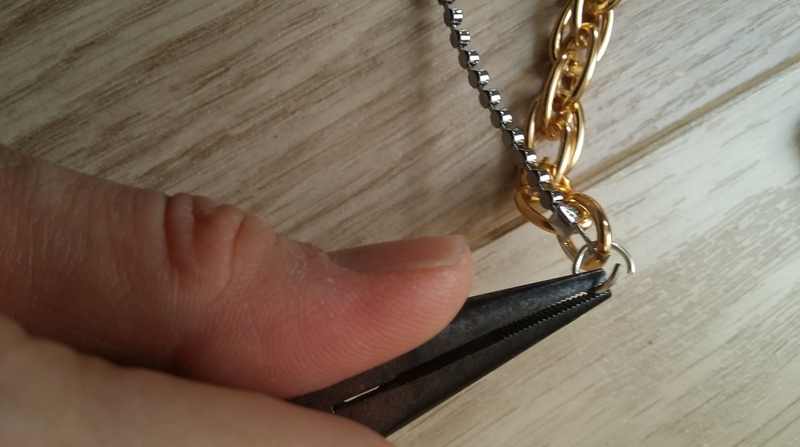 In any order you want, wrap the rhinestone round the gold chain and from time to time insert it through the links of the chain. 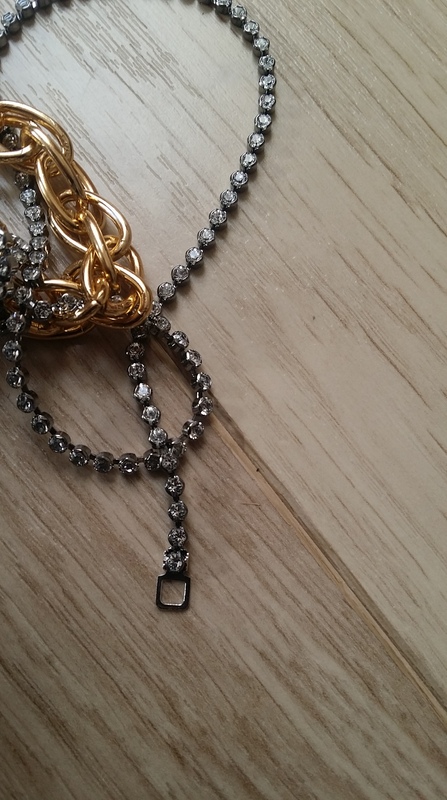 You can also insert it into a loop formed by the rhinestone chain too. 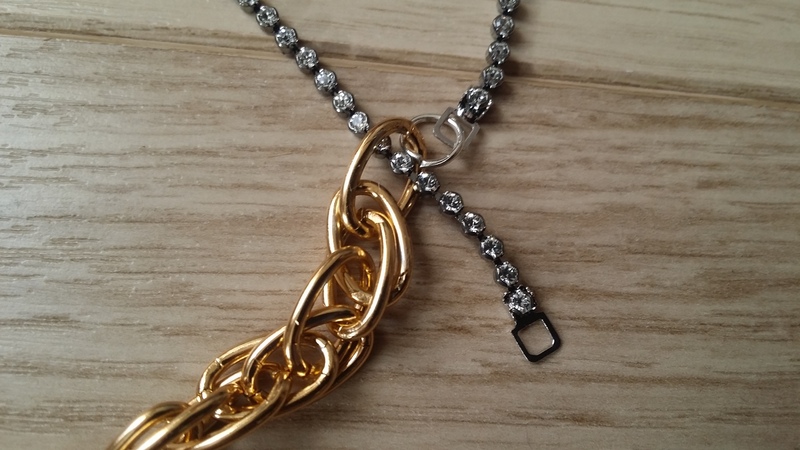 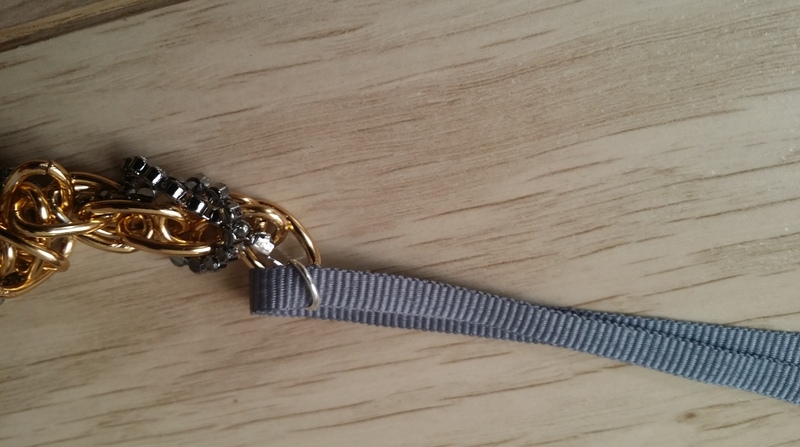 When you have reached the end of the rhinestone chain, end the piece by inserting the bracket and chain through the 2nd jump ring then close tightly. 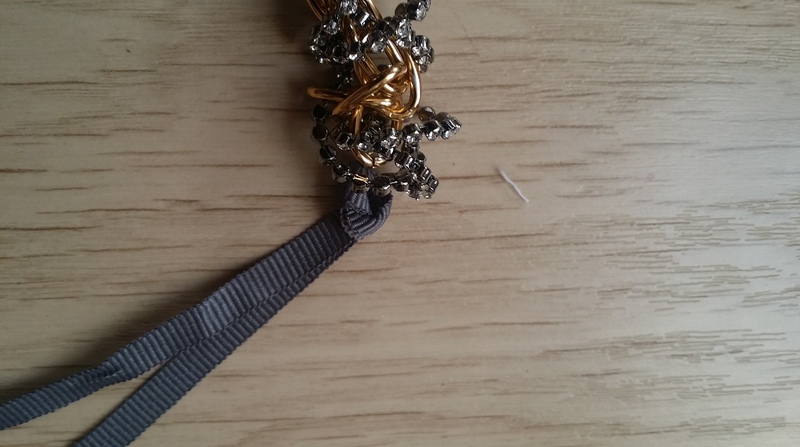 Cut the ribbon in half. 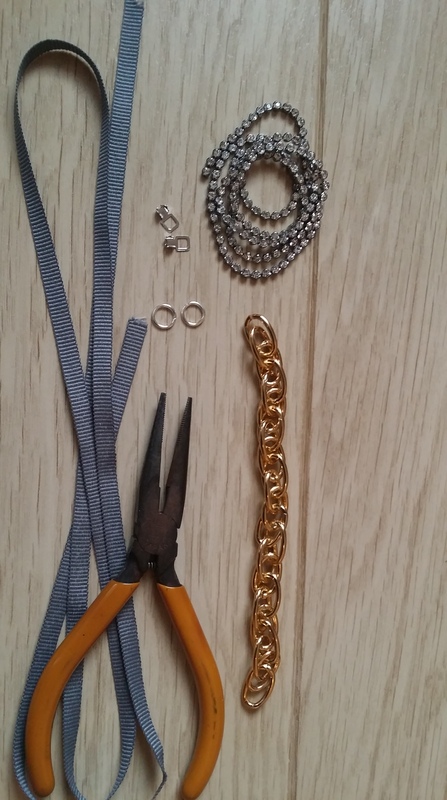 Insert 1 piece through 1 jump ring and when both ends are even, tie a knot to secure the jump ring. 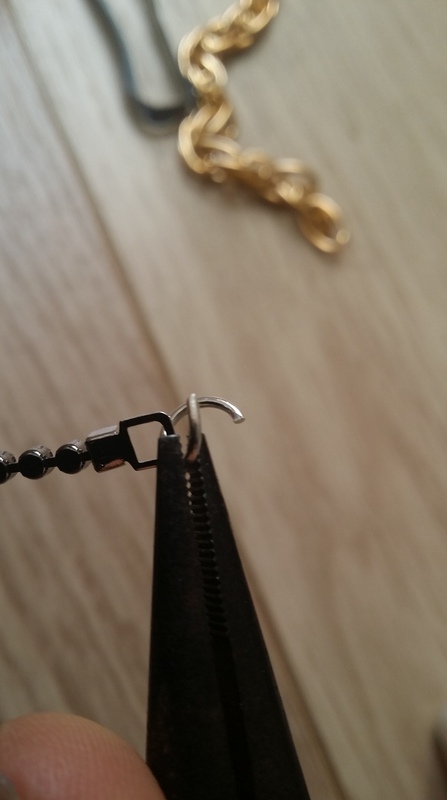 Repeat with the other side.